A few weeks ago, we described the interdisciplinary programs for which the University of Pennsylvania has long been highly regarded. One of Penn’s fellow Ivy League institutions, Yale University, offers a set of interdisciplinary academic programs with the same mission as Penn’s — to allow undergraduates to prepare for careers in fields that integrate the knowledge and skills associated with at least two distinct academic disciplines. The interdisciplinary programs at Yale constitute combined fields of study that are different than those offered at Penn. For this reason, students who seek a cross-major approach to their education should consider either or both of these universities as target schools. Yale’s Multidisciplinary Academic Programs, as they are referred to, are designed to enable selected undergraduates to undertake coordinated course work in more than one major simultaneously. The Programs aren’t simply modified versions of existing majors. Yale defines these Programs as being distinct from existing majors, with each Program having its own unique set of requirements. The Programs also include required extracurricular activities. Education Studies: The Education Studies Program provides a structure for students interested in educational institutions, policy, research, teaching, and learning. The Program promotes a multidisciplinary understanding of the role of education historically, socially, politically, and economically. Students who have successfully taken an introductory survey course during freshman year can apply to become Education Studies scholars. As with all Multidisciplinary Academic Programs in Yale College, the application cycle takes place in fall semester of sophomore year. The Education Program selects students with the appropriate academic background and demonstrated interest in educational practice, research, and policy. Energy Studies: The curriculum of Energy Studies is designed to provide selected undergraduates with the knowledge and skills needed for advanced study, leadership, and success in energy-related fields. The Program addresses a challenge faced by all nations — the need to develop and deploy a sustainable energy system, one which can provide convenient, affordable energy for all of the world’s population in ways that are less harmful to health and the environment than today’s system based on fossil fuels. Human Rights Study: The field of human rights can’t be contained within a single academic department. It needs to encompass the full range and diversity of human rights knowledge. Anthropology, area studies, economics, history, law, literature, philosophy, and political science overlap as they pertain to human rights issues. The Multidisciplinary Academic Program in Human Rights recognizes this complexity. The Program offers undergraduates the opportunity to explore human rights from an interdisciplinary perspective, providing students with the analytical and practical skills necessary for further study and for human rights-related careers. The Program connects students to faculty and peers with similar interests, supports student research projects and internship opportunities, and offers career guidance in the field. Global Health Studies: Facilitated by its vast research capabilities and culture of collaboration, Yale develops leaders in global health whose mission is to accelerate scientific innovation in health care and to promote the dissemination of new and better methods around the world. Global Health at Yale is coordinated by an interdisciplinary Global Health Faculty Advisory Committee, which provides advice and guidance to students on potential research projects in health. The Committee also fosters relationships within the University to catalyze interdisciplinary research and to enhance the education of scholars in the Program. 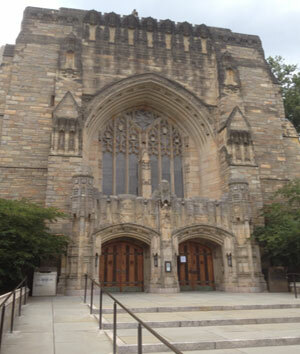 Journalism Initiative: Yale College does not offer a major in journalism in the belief that the best preparation for a career in writing is a sound liberal arts education. This Program specifically aims to provide additional support to students aspiring to become Yale Journalism Scholars by offering an intensive journalism seminar in the English department during freshman year. In addition, the Program provides career-counseling, support for summer internships, lectures by visiting journalists, and access to a network of alumni in journalism. IvySelect, a private college admissions consulting firm, has successfully assisted many students who sought acceptance to Yale and Penn and were subsequently admitted to one or both of these outstanding Ivy League universities. For students interested in a multidisciplinary approach to their undergraduate education, we provide expert guidance and application development assistance. Our expertise extends to all top-tier colleges and universities as a result of our successful efforts in guiding students to admission at a great many of them, including all of the Ivy League schools.